The future is finally brightening up for diamond giant De Beers, as the Anglo American’s unit registered its biggest sale of rough stones in at least a year thanks mainly to Asian consumers stocking up during their holidays celebrations. The company, the world's top diamond producer by value, said it sold $720 million in its first sale of the year, compared with $545 million at last year’s January offering. The reopening of some diamond polishing operations in India matched higher demand for smaller, lower quality rough diamonds, De Beers said. De Beers said it saw “good demand” across most diamond categories as the sector entered a seasonally strong period, when rough diamond demand picks up on the back of Christmas and China’s New Year celebrations. Chief executive officer Bruce Cleaver also attributed the recovery to the reopening of some diamond polishing operations in India, which matched higher demand for smaller, lower quality rough diamonds. Cleaver said that company, however, maintains a cautious outlook for such diamonds because the Indian industry is still adjusting to the post-demonetization environment. He was referring to Prime Minister Narendra Modi’s decision to pull 500- and 1,000-rupee bills from circulation. 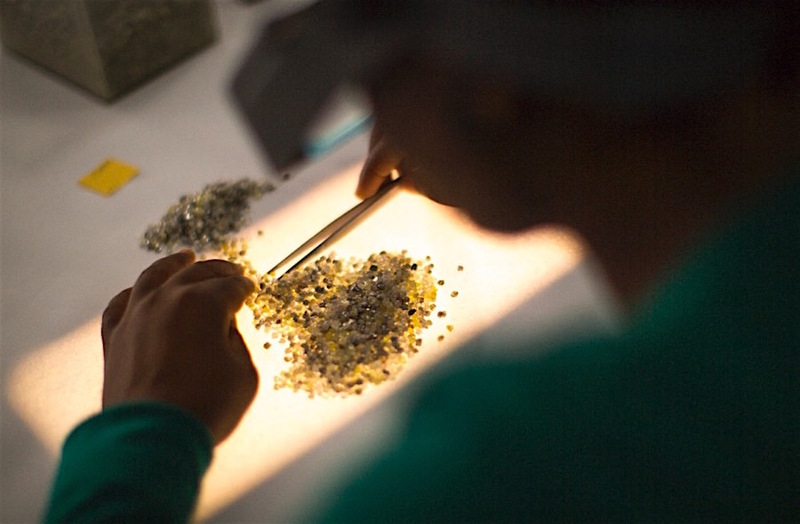 The diamond miner’s first sale of the year, which gives traders the opportunity to restock stocks following the key end of holiday season, follows one of De Beers’ smallest offering in December.